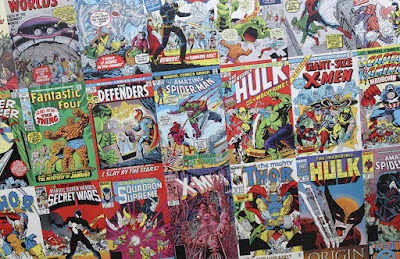 Jared Unzipped: Collecting Comics Is The Dumbest Hobby Ever. I've expressed before my displeasure with the two mainstream comic book publishers in the United States -- DC Comics and Marvel Comics. While my article today certainly relates to that, it more so deals with how ridiculous collecting comics can be from a value perspective. Over the course of the past twenty five plus years, I amassed a very large comic book collection -- by last estimate at the collection's largest point, nearly five thousand issues. Titles in my collection ranged from Spider-Man to the X-Men, Swamp Thing to Green Arrow. About three years ago, the whole hobby started to sour on me. I reached my breaking point in terms of poor quality, lack of consistency and the absurd retail price with comic book publishers. On the whole, I was disappointed with most comics and lost interest. Hence, I began to sell my collection. Let me tell you -- this has been a nightmare of epic proportions. Comic books are the dumbest hobby you could ever make an investment in. 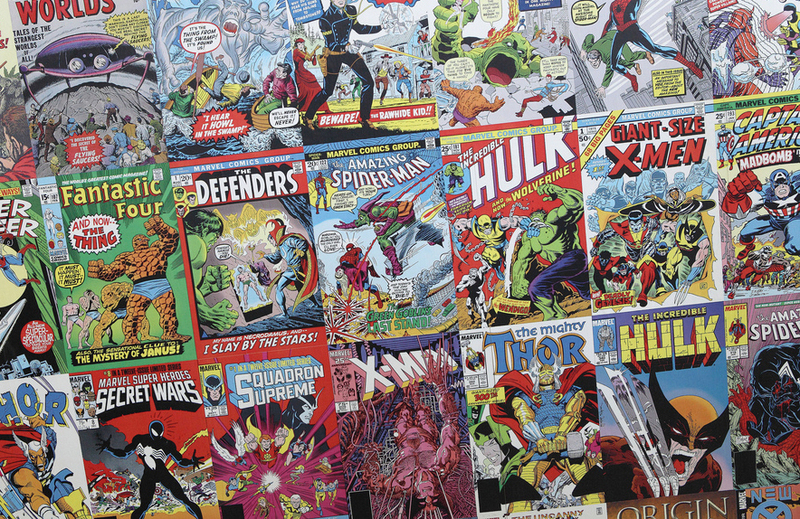 The vast majority of modern comic books sell between $2.99 and $4.99 each at cover price. Much like an automobile, they depreciate the moment you buy them. Issues that are only a few months old will demand a fraction of what their cover price was. Sure, some select issues may get hot and demand a higher price, but those issues are few and far between. The majority of issues will be worth less than their original retail cover price. Older issues from the 1990's, 1980's and further back are just as much of a headache to sell, if not more so. Comics that may have cost one or two dollars at retail may now be worth just that on the aftermarket -- one or two dollars. Much less, other collectors looking to buy comic collections from sellers like myself will flat out refuse to purchase them for even a fraction of their value. Why? Because they're speculative pricks whom only want "key issues". If I ever hear the phrase "key issues" again in my life from a comic geek, it'll be too soon. Let me explain. A key issue is a comic book where a character makes his or her first appearance, an important event happens, a character dies, and so on. A large number of collectors only want to collect key issues. They don't want to collect a whole story or run of a series; they just want individual issues here and there. To put it bluntly -- they could give a damn about the actual content of a comic book series, they just want that one particular issue everyone thinks is important. These types of collectors can go jump off a cliff and die. Such collectors don't really care about the comic books they're buying. They only want to own issues that they perceive to have value, or to brag about like trophies to their boot-licking nerd friends. At this point, I have roughly 1,600 comic books left which I'm trying to sell. I've unloaded the vast majority of my collection, but this last batch has been the toughest to find a buyer for. With many of the other issues I've already sold, I made a decent profit. Certainly, some select comic book issues from the decades previous have gained incredibly in value -- I sold many of them. On the whole, though... collecting comic books just isn't worth it. You have to lug around thousands of pieces of paper in large boxes for years on end, ultimately never amounting to much of anything in value. The whole hobby is a sham for the most part. The fact that comic books have been raided by greedy corporate interests and injected into the mainstream for profit is a whole other problem in itself, but that's best saved for another article. Comic books are a lot like boats, time shares and children. They're all bottomless pits which you throw money into, with no hope of ever getting it back. Collecting comics is a hobby where you will not recoup your initial investment. I'm thankful for comic books. I learned how to read with old comics when I was just a little boy. The fantastical world found within those pages was an escape for me at a time when life was difficult. Unfortunately, as a grown adult, I sometimes wish I had never picked up the hobby at all. If anything, that speaks mounds about the pitiful state the comic book hobby has fallen into in modern times.